Got the SMS of my blood picture? So you drive over to the lab to have your blood work? In the near future, that would totally be ‘old-school’. Even i f you so much as consider making that journey, you have GOT to be tempted to please think again! Time has been proven, repeatedly, to be of the essence, both for the sake of the diagnosis & treatment and the patient’s quality of life. For instance, imagine the convenience it will provide for an HIV-infected patient, who is what a lab technician would probably call a regular customer, due to the regular follow-up tests needed to monitor the development and treatment. Through a $10 piece of hardware connected to your cell phone, you will have your medical test results ready on the go. 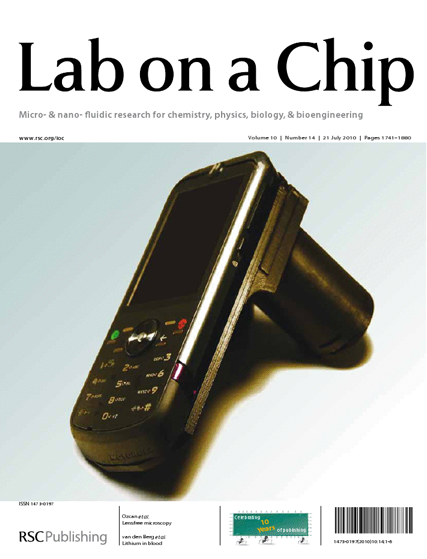 All you’d have to do is insert a slide containing a drop or two of your blood and leave the rest of the work up to the chip, as demonstrated on a prototype. I will even bet that, those who choose not to use it, would be charged extra for lab work!!! The Ozcan Research Group at UCLA will already begin their field tests in Africa concerning the new cell phone/microscope gadget. I had to see to believe. Aside from all the engineering & technological aspects, which I am sure are quite many, if this were to be actually implicated worldwide, the possibilities of its application are endless, including, but not necessarily limited to, pretty much all of the blood-borne diseases. For instance, malaria, which is fairly common in many African countries, can be instantly diagnosed. The hospital would get the patient’s blood picture, through the cellular networks for analysis by physicians and there you have it.